On behalf of the Club Committee, I am pleased to invite you to the forthcoming Annual General Meeting (AGM). 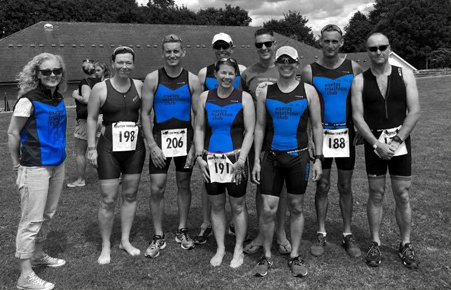 The AGM is an important constitutional gathering of Exeter Triathlon Club’s members to hear about the progress of the club, recent and on-going developments and the many achievements of the members during the past year. The meeting also provides a forum for members to put forward their ideas for the future of the club. A minimum of 10% of voting members are required to conduct the AGM. If only one candidate stands for a post then the nomination will serve as the election. If more than one person stands for a post the election will normally be by a show of hands. The AGM will also consider a range of important club matters as determined by the Chair. In addition, if you have any other business that you feel is relevant to the AGM, then please note that this should be submitted to the secretary, in writing, at least seven days before the meeting. There will be an open forum after the official AGM has been brought to a close, where all members will have a chance to share ideas. I urge you to attend and support your club. The AGM also provides a chance for us to celebrate the successes of our club and its members over the last year, and there are a series of prizes to be awarded. If you are currently in possession of one of our awards or trophies I would be extremely grateful if you could bring it to training or return to a committee member as soon as possible, any problems, please contact me. Tea/Coffee will be served from 7.15pm, with the meeting starting promptly at 8pm, following the AGM cheese and wine will be served.